Editors’ Note: We take a break from our regularly scheduled NephMadness programming to share this response from UNOS, in reply to an earlier post by Dr. Sylvia Rosas et al regarding Controversial OPTN Committee Structure Changes Up for Public Comment. United Network of Organ Sharing (UNOS) appreciates the views of its members and others interested in organ donation and transplantation. The public comment proposal is designed to help guide feedback on a concept that is in the early idea stage of development. The success of UNOS’ approach as the Organ Procurement and Transplantation Network (OPTN) is largely dependent on the input and consensus of clinicians, professionals, and individuals who represent many disciplines and perspectives. We wish to increase, not decrease, the voice and influence of the many communities involved in organ donation and transplantation. In some ways, the current committee structure limits such participation, as the committees accommodate a finite number of members and there are many more who wish to participate. For this reason, UNOS is seeking input on other potential approaches that would retain the structural advantages of a committee while also incorporating the benefits of larger and more diverse participation. We look forward to continued robust dialogue on this concept. Ultimately, we are seeking the best approach to develop fair and effective national transplant policy, representing a full range of expertise and perspectives. The OPTN/UNOS Executive Committee will examine and discuss all feedback from public comment as we continue to consider the best solution. 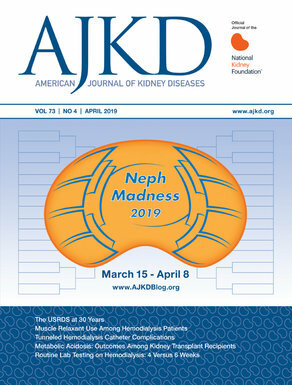 As with all content on the AJKD Blog, the opinions expressed are those of the author(s) of each post, and are not necessarily shared or endorsed by the AJKD Blog, AJKD, the National Kidney Foundation, Elsevier, or any other entity unless explicitly stated.